As I detailed in this Cult of Mac post, Siri traces its lineage directly back to the largest artificial intelligence project in history, the Pentagon’s CALO project. CALO stands for “Cognitive Assistant that Learns and Organizes,” and the project involved over 300 of the world’s top researchers in various aspects of A.I. Siri, on the other hand, will be unlike anything the public has used before. You can say things that technically or literally have nothing to do with what you mean, but Siri will in many cases figure out what you mean based on context, history and and artificial intelligence designed to understand regular human speech. But Siri also answers questions, thanks to Wolfram-Alpha integration. You can ask random questions like “how many kilometers in 30 miles?,” “What time is it in Paris?,” “how many octaves on a piano,” or “why is the sky blue?” and Siri will just give you the answer. Not a web page. An answer to your question. By mainstreaming, I mean the process of taking something that’s on the fringe of human culture, and making it an everyday part of life for a vast number of people. Right now, Google Voice Action is on the fringe of culture. The average personal on the street never heard of it. Siri will become mainstream. Just about everyone will become familiar with it, even if they’re not iPhone users. We remember the mainstreamers because these are the people and companies that put technologies into every day use for everybody. And we can trace all current lightbulbs and cars back to Edison and Ford. But it’s also not finished. 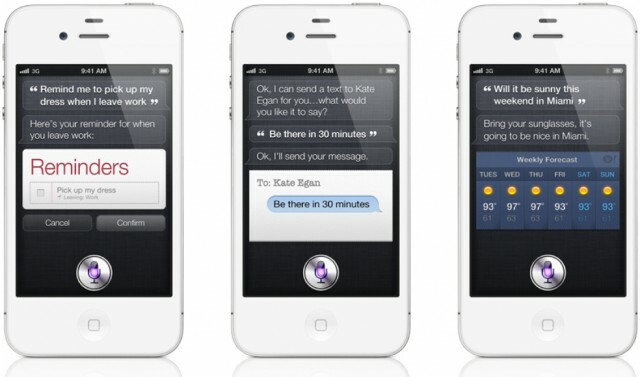 The iPhone 4s’s Siri is just the beginning. Future versions will become ever more sophisticated. Google, Microsoft and others will come out with their own A.I (in that order, I predict).